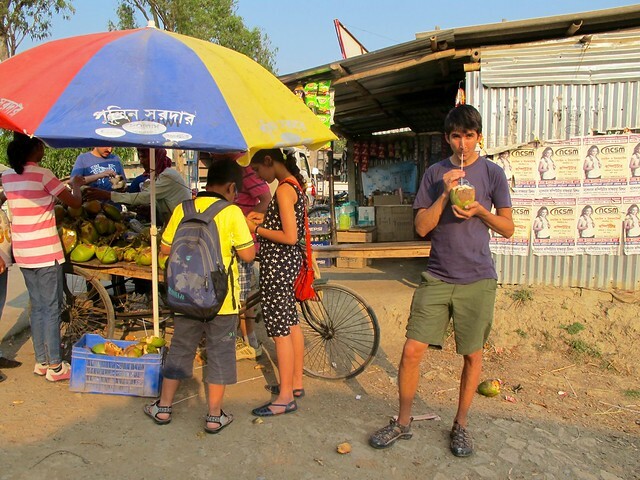 My biggest tip for someone backpacking through India: Be open to new experiences and learn to let your guard down. It won’t be easy. The most frequent word you will say is ‘no’, as you duck away from rickshaw drivers and merchants trying to sell you things you don’t want. There are people who will try to take advantage of you, especially in the heavily touristed places where you’re likely to start your trip. But once you get past that, you’re more likely to find genuinely hospitable locals who just want to spend time with you. There is no scam when they offer you food, ask you personal questions on the train, invite you over for dinner, teach you to play cricket, share their religious ceremonies, or if you’re really lucky, attend a wedding. It took us too long to realize it, but once we did we met a lot of amazing people, and we got a wedding invite, but it was unfortunately 3 days after we flew home. 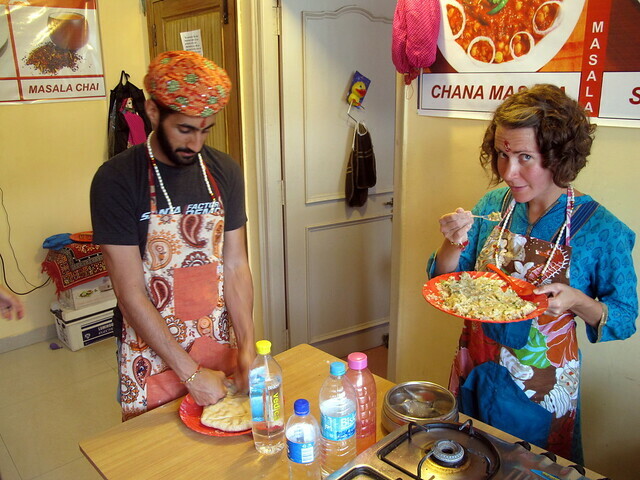 We also learned some more practical tips useful for anyone going on a multi-month trip through India. You can’t bring everything you will need, so don’t. Most items are cheaper to buy in India than at home anyway. Clothing, toiletries (although we never tried to buy deodorant or feminine hygiene products), laundry soap, and food are all cheaper in India. That said, there are a few essential items you will want to bring from home. Although it’s not essential, I’d recommend taking a few bills and coins from home. The Indians we met loved seeing Canadian money. Luckily we had $5 and $10 Canadian bills on us. I wish we would have brought some small coins to give to the kids. We bought water in plastic bottles as we went, but hated all the waste that was produced. The one thing we wished we had packed was a travel water purifier like the SteriPEN. Expect to do a lot of bargaining. We initially found it intimidating, but it gets easier as you learn what the prices should be. You will overpay at first. Packaged goods have a maximum retail price (MRP) labelled on them, which acts as the price tag. For negotiable items, like things you buy in the market, expect to be offered inflated foreigner prices. 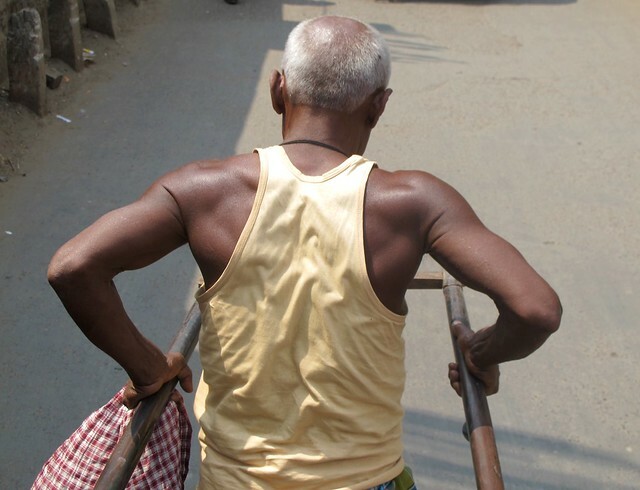 Rickshaw drivers are the worst offenders for trying to gouge foreigners. There are some techniques to keep prices reasonable. If you’re at the airport or train station, look for the government regulated prepaid stands, but make sure the driver you get knows where you’re going. You should almost always ignore the drivers who meet you at the train and try to snag you before you have left the station. If they’re targeting foreigners, they charge way too much and often sell “sightseeing tours”. 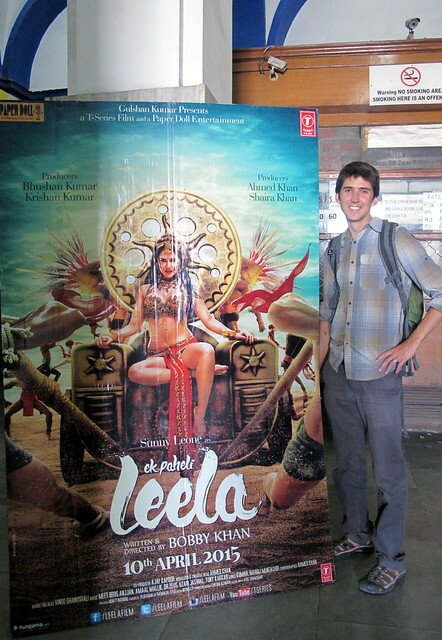 We only had a rough idea of where we wanted to travel when we arrived in India. It’s a big country and every corner offers something unique to see. It’s a good idea to pick your travel itinerary based on the weather. There is a big difference in temperature between the north and south and the monsoons start and end at different times. We got really lucky with weather, starting in the south in December and slowly making our way north, with Rajasthan in February and ending in Delhi in April. There are also hill stations (like Darjeeling and Shimla) to check out if it gets too hot, but they can be frigid the rest of the year. Here’s a summary of all the places we went. Having a cellphone and a local SIM card is extremely useful. Getting a SIM card is a great introduction to Indian bureaucracy and the country’s love for paperwork. We got ours through Vodafone. I just show up at one of their stores with a copy of my passport and visa, a passport-sized photo, and an address from my hotel. It shouldn’t take long, but it does. The rates are super cheap, and 3G internet (2 GB for less than $5) was often faster than the hotel WIFI. The only annoying thing is the SIM card will only work for 3 months (Indian government regulation). After 3 months, your phone will stop working, any money on your account will disappear, and you will have to start the whole process from the beginning. 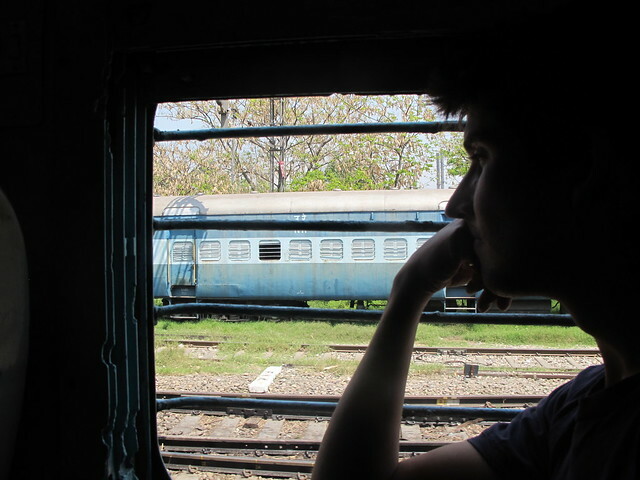 The best way to travel in India is by train. You can’t beat the combination of speed, price, and entertainment value. However, booking your first train ticket can be intimidating. You can visit a travel agent and pay a commision to have them do the work, but we prefered to book tickets ourselves online. Really short routes we went unreserved, medium length trips we booked about 2 weeks ahead, and most of the long distance routes we booked a month ahead. It is very difficult to get a reservation on and around holidays. There are three invaluable sites when figuring out the train system – India Mike, India Rail Info, and Cleartrip. India Mike has the best guide to the Indian Rail Network, amongst other things. Some of the content on the website is getting old and stale, but it’s still one of the best resources for foreigners in India. Any question you may have about traveling through India has probably been answered on this website. The best website for figuring out the train schedule is India Rail Info, which also has an excellent app. The user interface is intimidating at first glance, but it’s packed with essential information – like the average delay (some passenger trains are routinely 6-8 hours late), how many tickets are available in each class, and it will let you search for foreign ticket availability. The easiest way to book tickets is through the Cleartrip website (or app), which accepts foreign credit cards. – For overnight trains, you can choose between Sleeper (SL), 3 level air-conditioned (3A), 2 level air-conditioned (2A), or a private compartment (1A) with prices close to flying. We spent most of our time in very affordable 3A compartments, but also booked a number of super-cheap tickets in Sleeper class. Even though Sleeper and 3A officially sleep the same number of people (8 per compartment), you will find more people cramming into Sleeper (with families often sharing a single bed). 3A is generally more comfortable and the beds come with a pillow, sheets, and blankets (in Sleeper you have to bring your own). 3A is temperature controlled, so it is more comfortable when it is both hot and cold outside. – Trains are given priority on the tracks based on their type. The fancy, express trains (the Rajdhani and Shatabdi Expresses) go the fastest and are hardly ever late. The slower passenger trains stop at more stations, have to pull over and wait for faster trains to pass, and are frequently several hours behind their schedule. – Most trains reserve 2-10 seats for foreign tourists, which are great when you’re making last minute travel plans, but can be a real pain to book. They can only be booked in person at the major train stations. Again, India Mike has the best guide to Foreign Tourist quota tickets and a list of train stations where you can buy them. – If the train is full and you can’t buy a Foreign Tourist Ticket, the next option is the Waitlist. We tempted fate on the waitlist twice and got lucky both times, but it was very stressful. If you are near the top of the waitlist, you might get a ticket when someone cancels, but most tickets are handed out 4-12 hours before the train leaves, allocated from unused quotas in special classes. You best have a good backup plan. There is also last-minute Tatkal tickets that go on sale at 10 am the day before the train leaves. The train station reservation offices are madhouses in the morning as people push and shove to get a chance at these tickets. We never bothered. India has a great network of private bus operators that provide comfortable Volvo bus connections between most cities. Unlike the train, which can sell out weeks in advance, the buses were usually easy to book last minute. You can search and book tickets for most operators on a single website – Redbus. Some of routes are served by “sleeper buses”, which have horizontal beds (doubles and singles). Depending on the road conditions, the sleeper buses can be just as comfortable as the train and a great way to travel. There are government buses, which are cheaper and less comfortable than the private Volvos, and in some states they are the only option. 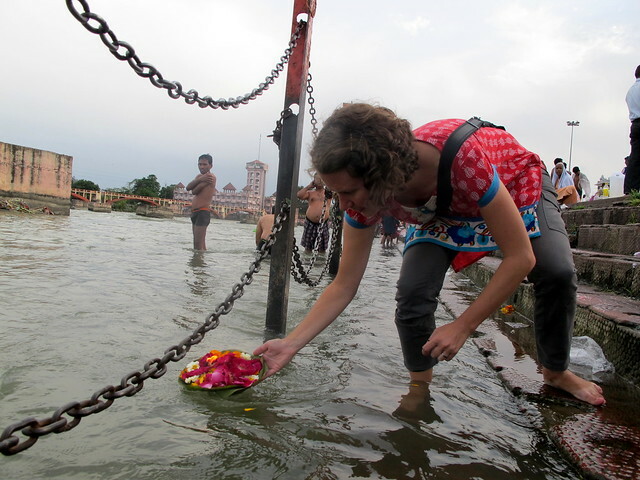 India has a great selection of budget hotels, but don’t expect Western cleanliness or service. Many hotel rooms won’t have towels, sheets, or toilet paper when you check in, but if you ask they will provide them. 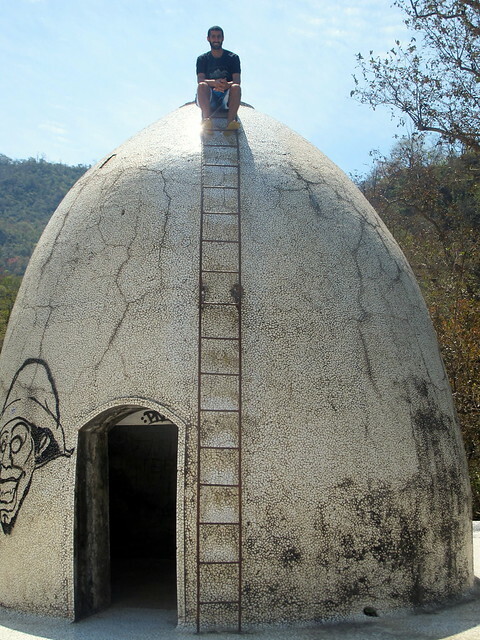 You won’t find a clock, telephone, hair dryer, or daily room cleaning but most hotel rooms will have a shower in the middle of the bathroom with a bucket to wash clothing, a Western toilet, and a fan or A/C. 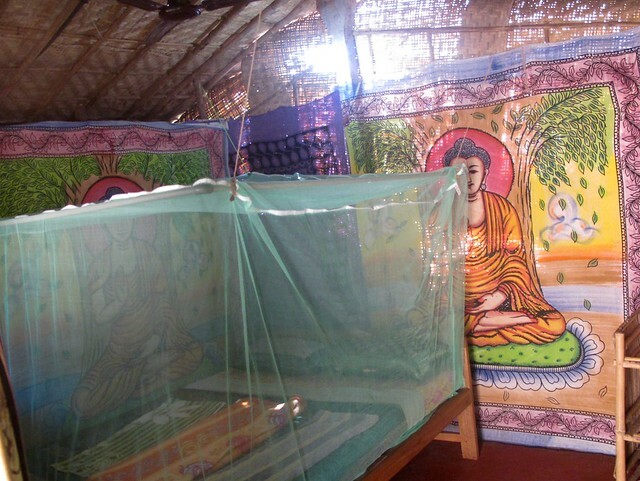 Sometimes you will find a TV, mosquito nets (especially in the south), and included breakfast. 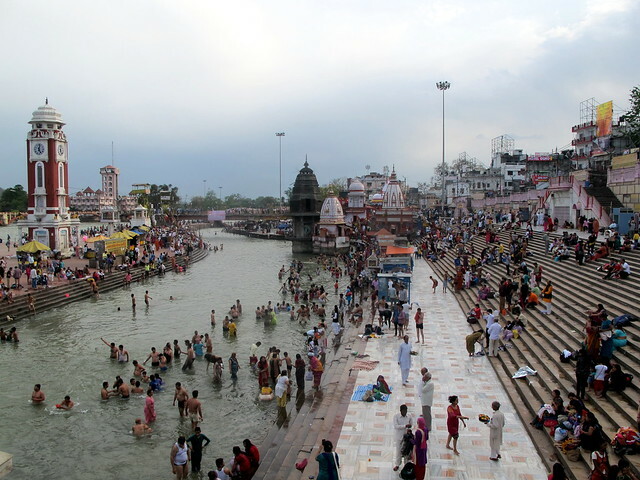 We spent around 3000 rupees/person/day (full breakdown). Almost all of our spending was in cash. Using a credit card was rare, especially outside of the major cities. Luckily there are a lot of ATMs that accept foreign cards. The best were the State Bank ATMs, which don’t charge any fees and are plentiful throughout the country. 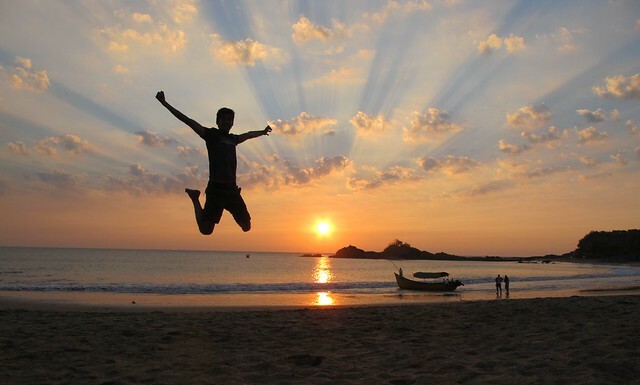 The best source of reliable reviews was TripAdvisor, especially for hotels and attractions. For food, Zomato was the best for finding great restaurants – the curated “Legendary” lists never let us down. Luckily most Indians speak good English, so you can get by without learning any other languages. 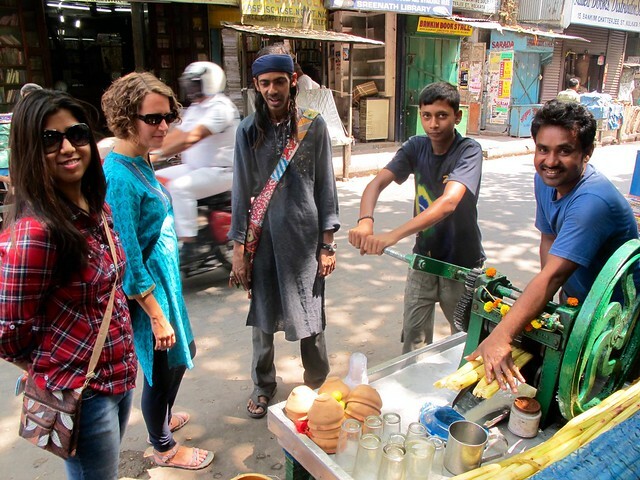 We learned some tourist Hindi, but its usefulness was limited. Many states, especially in the South, have their own languages (Tamil, Malayalam, Marathi, Bengali, Punjabi, etc.). However, it’s always nice to be able to greet and thank people in their own language. Have a great trip. India is a special place, full of amazing memories. After 4 months backpacking through India, we have a lot of fond memories and unforgettable stories. We did our best to see as much of this amazing, diverse country as possible. We took dozens of trains, buses, and shared jeeps, covering more than 13,000 kms (further than the distance from Vancouver to Delhi) traveling between 35 destinations. There are individual blog posts about each stop on our trip, which you can read if you have hours of free time. Otherwise, here’s our recap. We spent four days exploring the massive ruins around Hampi and the boulder strewn landscape. We could have spent more. Every day was special, but there were two very memorable moments. On the first day we hiked over a ridge and found ourselves alone with a sprawling ruins below us just begging to be explored. On our last day, we rented a motorbike and explored the north shore. We got lost on small dirt roads amidst rice paddies, hiked up to a monkey temple, and ate lunch at a packed, chaotic restaurant where no one spoke English, there was no menu, and the only thing they had was an unlimited thali with the tastiest food served on a banana leaf – no plates or cutlery. 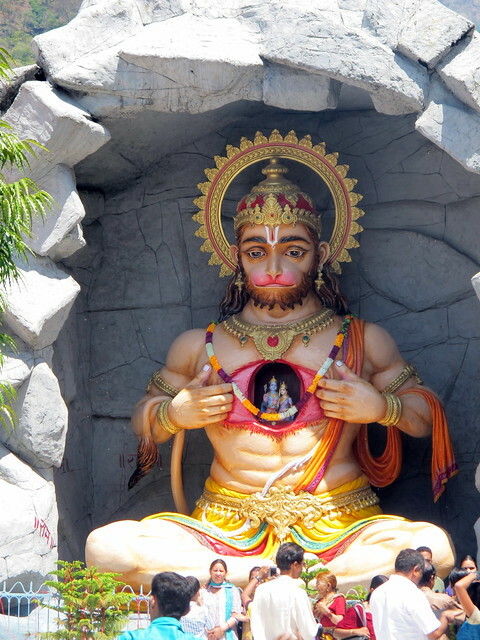 Indians know how to party and we got to celebrate a few big festivals. 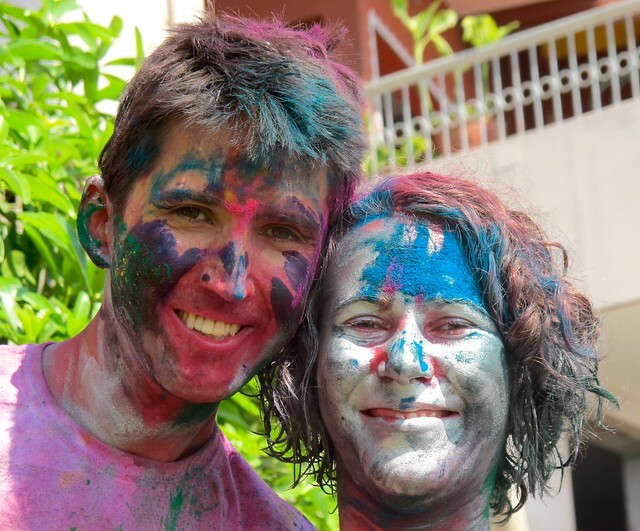 We were lucky to celebrate India’s most colourful festival, Holi, in its most holy city, Varanasi. It was a riot of colour – fun but intimidating too. We brought in the New Year in Kochi with elephants, fireworks, and burning Santa Claus. Riding a camel might not be the most comfortable or fastest way to travel, but it sure is memorable. We slept under the stars at night and played cards under a shade tree during the day. 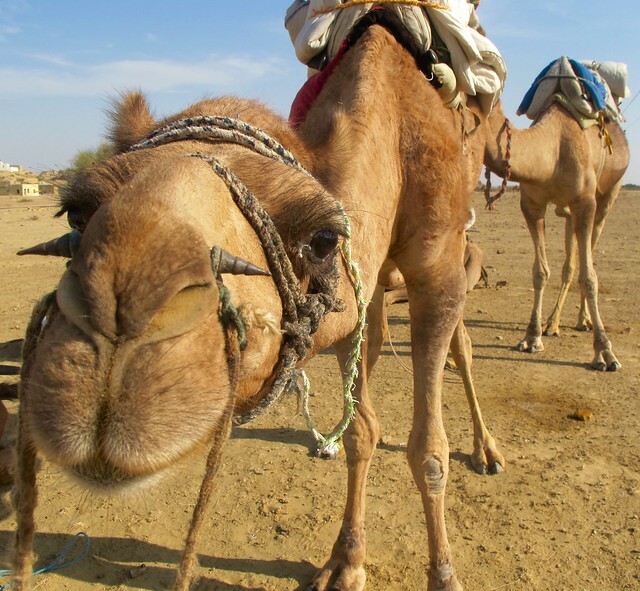 Our camel ride left from Jaisalmer, one of the most relaxed and picturesque towns we visited in Rajasthan. 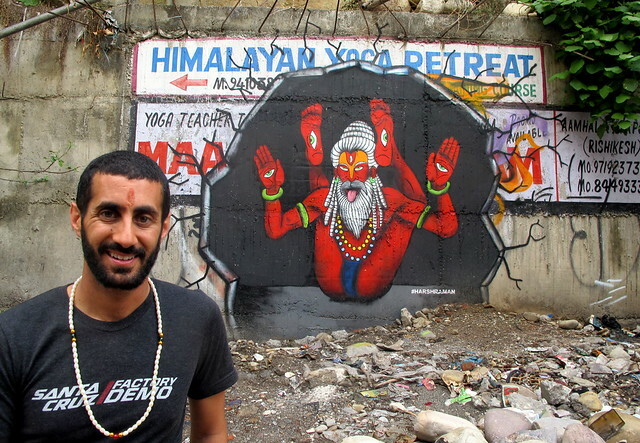 Yoga in India is much more spiritual than the purely physical form you find in Vancouver. 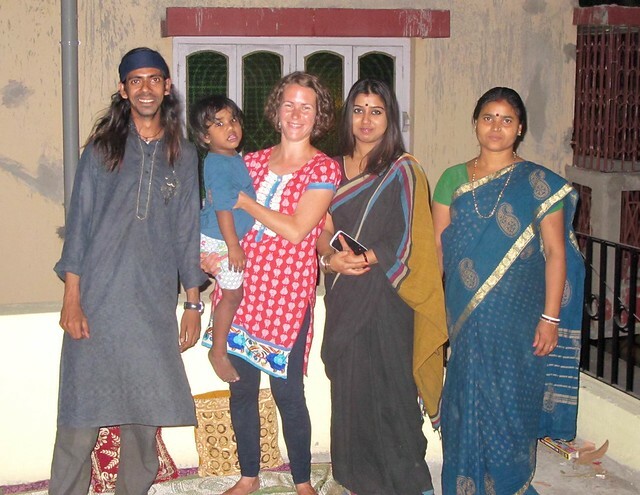 We really enjoyed many of the classes we took and our excellent instructors, but the highlight was meeting Swamiji in Pushkar, who we formed a deep personal connection with during our short stay. He really impressed us with his teachings on the fundamentals of yoga and his wisdom. 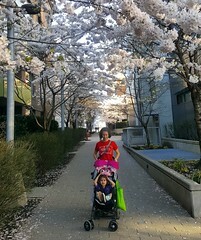 We plan on making yoga part of our daily routine in Vancouver. 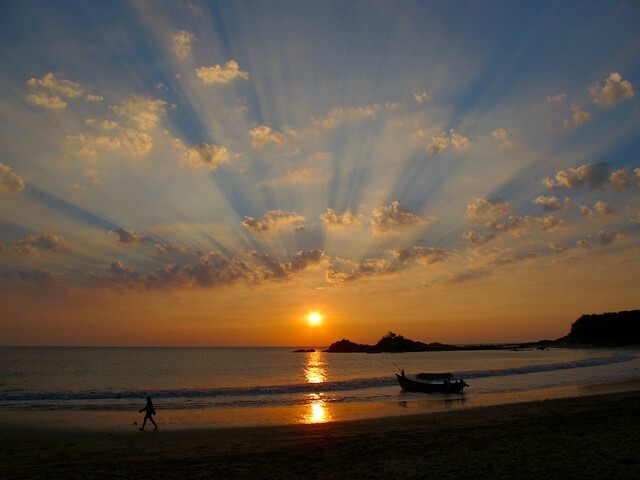 Far way from the chaos of India’s cities, the beaches of Goa and Gokarna are in a different world. For 10 days we slept in dirt-cheap huts and spent our days doing yoga, hiking, and reading on the beach. 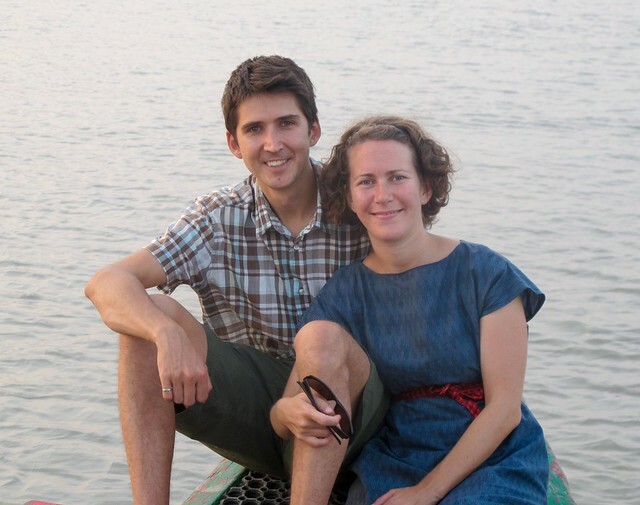 It was a great opportunity to recharge our batteries after our first month in India. Our first attempt to hike the Himalayas along the Singalila Ridge didn’t go as planned, but we knew there was something special about the worlds highest mountains and signed up for another trek. 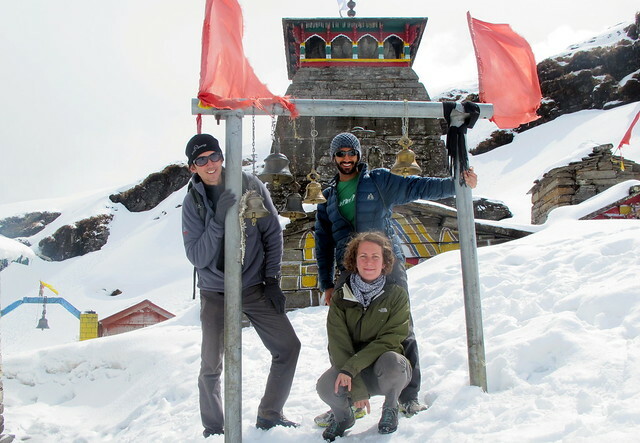 The second time, Dan joined us for an epic 3-day hike to the top a snow-capped Chandrashilla Mountain. It wasn’t easy, even with porters carrying our gear and cooks making our food, but we survived and were glad we did it. 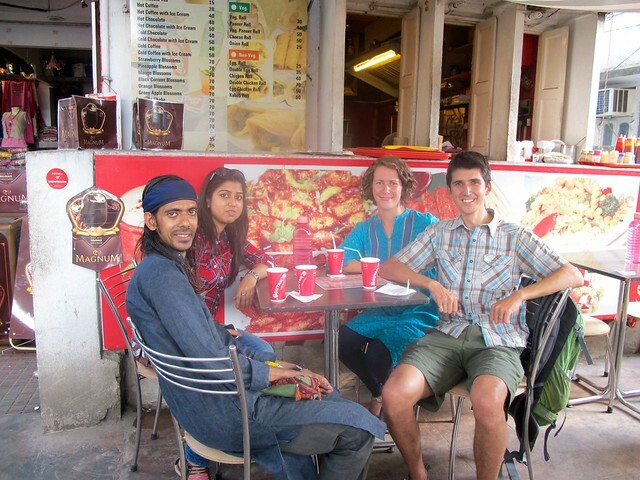 We met a lot of fascinating people throughout India, both locals and other travelers. In many ways the people we met were more memorable than the sights we saw. 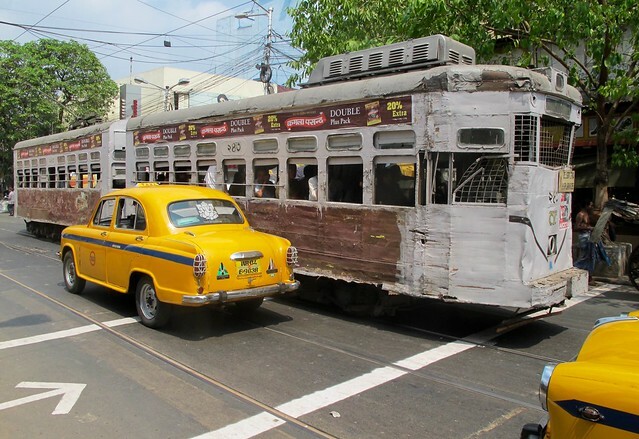 In Kolkata we were lucky to meet Karma and his friend Priya. We spent two days talking with them, sharing stories, and talking about our hopes for the future. They also showed us a part of the city we would have never found on our own. We spent a whole month in the Rajasthan, a state rich with history. After a while many of the cities started to blend together. 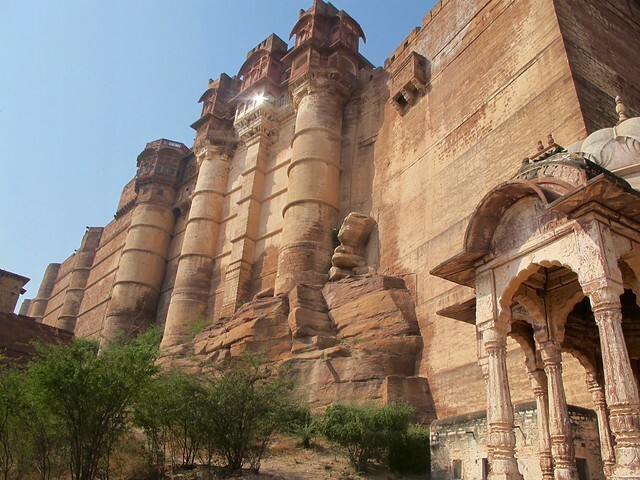 Every one had an imposing fort, and ornate palace, and divine temples. 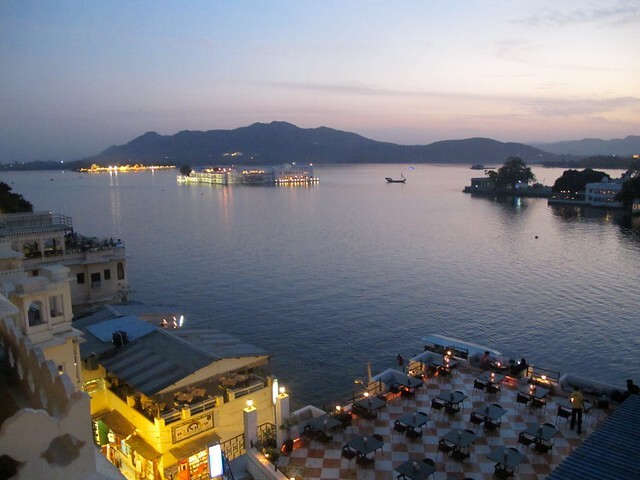 But Udaipur really stood out from the pack with its beautiful setting on a lake with floating palaces. We also spent 3 relaxing days just outside the city at Krishna Ranch, enjoying the tranquil setting and doing some adventurous hiking/bushwhacking. The northern state of Sikkim, next to Nepal, Tibet, and Bhutan was another unique Indian gem. 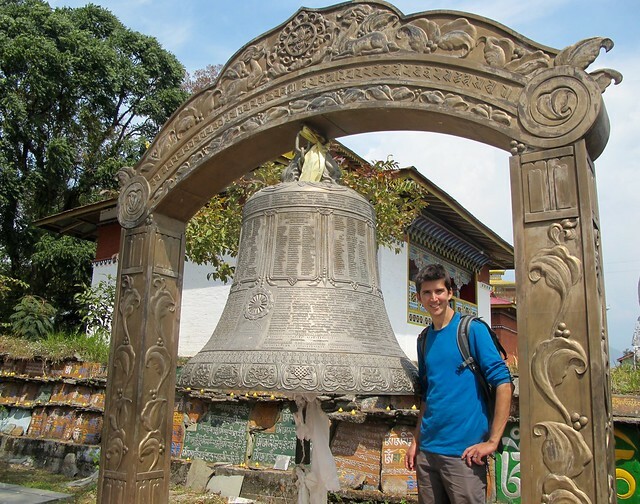 Rich in Buddhist culture, we loved the views of the towering Himalayas, ornate monasteries, Nepalese food, and our epic shared jeep rides between towns. 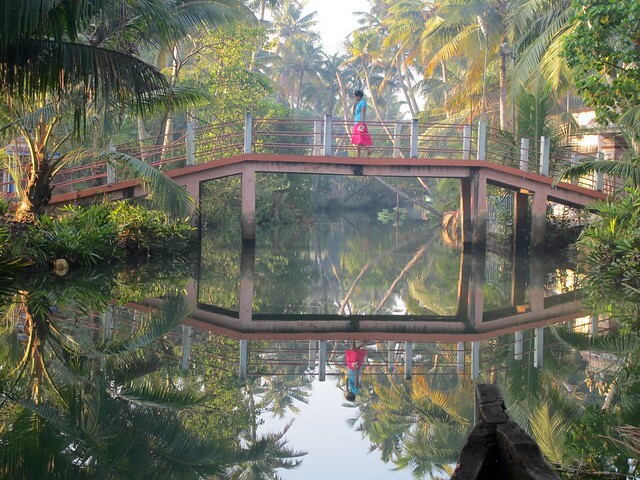 The tropical, jungle atmosphere of the Kerala backwaters in South India stole our hearts. 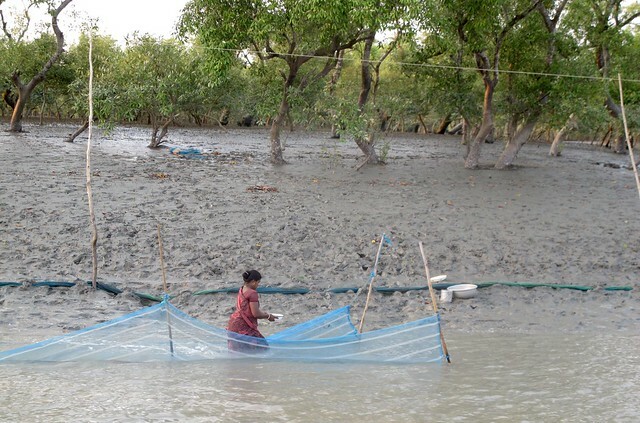 We stayed in a lovely guest house on Munroe Island and enjoyed exploring the canals that connect the local villages by canoe. We also stumbled upon a Hindu festival with drummers and actors dressed up like gods and demons from the Hindu scriptures. 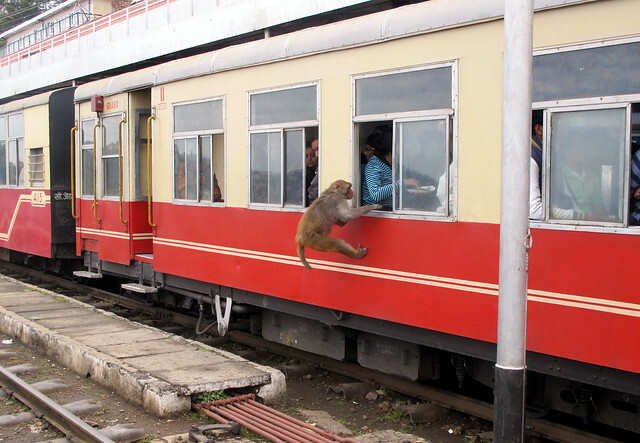 Monkeys in India are like racoons in Canada – cute but mischievous pests. But monkeys are not afraid of people and are active during the day. We lost count of the number of times got close to an adorable monkey, smiled (big mistake), and ran away when it bared its teeth and hissed at us. On Christmas morning at Karuna Farm, monkeys stole food from our outdoor kitchen while I was cooking breakfast. In Varanasi, one tried to pee on us from a rooftop. And in Hampi, we sat and watched monkeys jumping from roof to roof and making a mess of clothes lines and water barrels. New Delhi is the capital of India and home to some 13 million people, and our last stop on our journey through India. We flew home on April 15 from the Indira Gandhi International Airport. 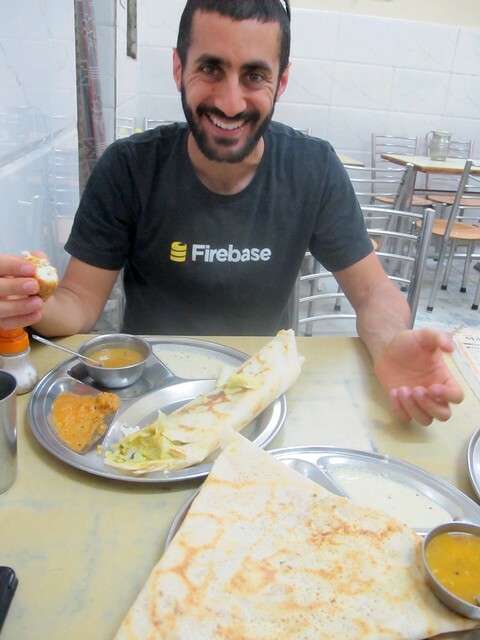 Much like in India’s other big cities (Mumbai, Kolkata, Bangalore, and Chennai), we enjoyed the top-notch restaurants, fusion of people, large market areas, and efficient public transportation systems. Delhi seemed to take these to the next level, with the dozens of bazaar areas for shopping and the most modern and extensive Metro system in India. We relied heavily on the Metro to get us around. Delhi is a really sprawling city and the attractions are spread throughout the city, and the traffic is horrible. Our highlights from Delhi include accompanying Dan on his first authentic Indian dining experiences and Bollywood movie, exploring the winding lanes of Old Delhi and the spice market, visiting the ruins of Qutab Minar, and going to Akshardham – which I can only describe as a Hindu temple and Disneyland combined together, complete with a Small World-esque boat ride and a reenactment of the life of a Hindu saint featuring animatronic robots. Needless to say, Akshardham was bizarre but amazing. 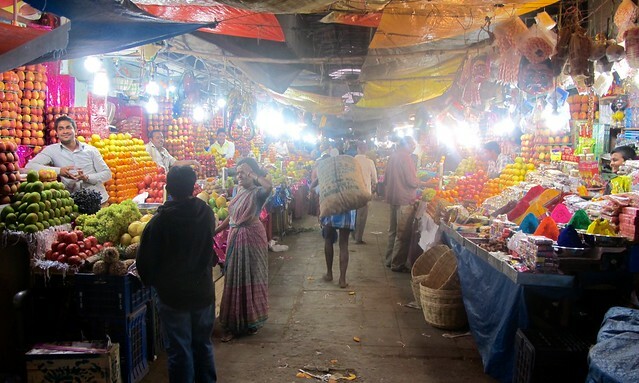 We also crammed 4 months of souvenir shopping into our last few days, visiting many of the the markets around the city and picking up clothing, spices, and tiffin containers. There is a constant smoggy haze over the city, which makes it difficult to appreciate the impressive buildings, especially around the Rajpath, which connects the President’s official residence to the India Gate. It was no surprise to us, that Delhi is ranked as one of the most polluted cities in the world. 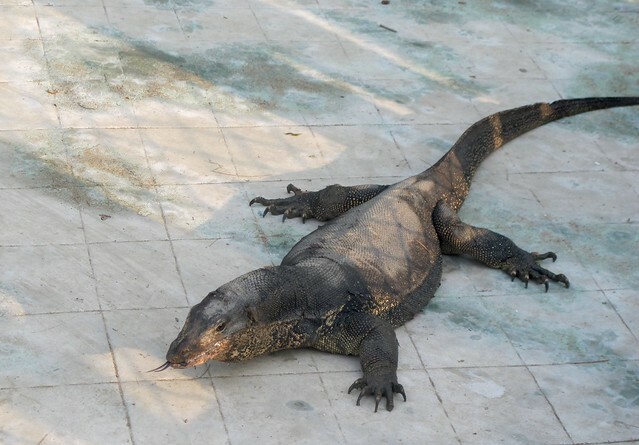 Our first few days in Delhi didn’t go well. 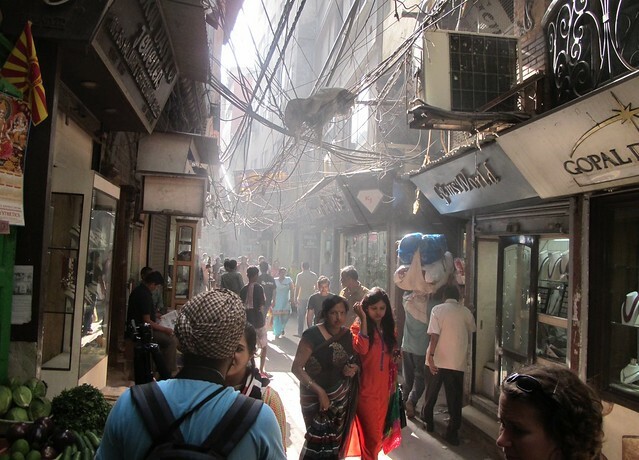 We were staying in the touristy Paharganj neighbourhood, where pickpockets and touts prey on tourists. Emily had her sunglasses lifted and I had my cellphone pick-pocketed. 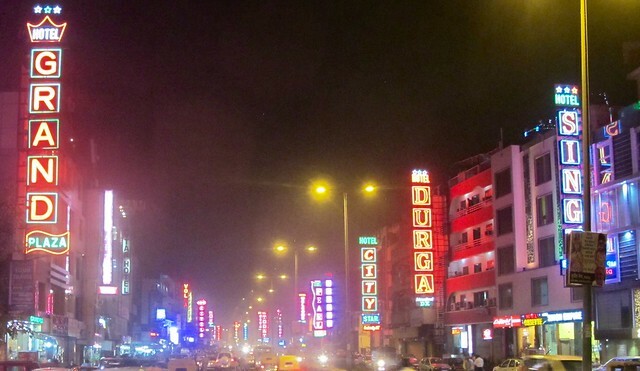 Those experiences clouded our experience of Delhi a little bit, but we still enjoyed the city. Maybe not as much as Mumbai or Kolkata, but it was a good place to end our trip. 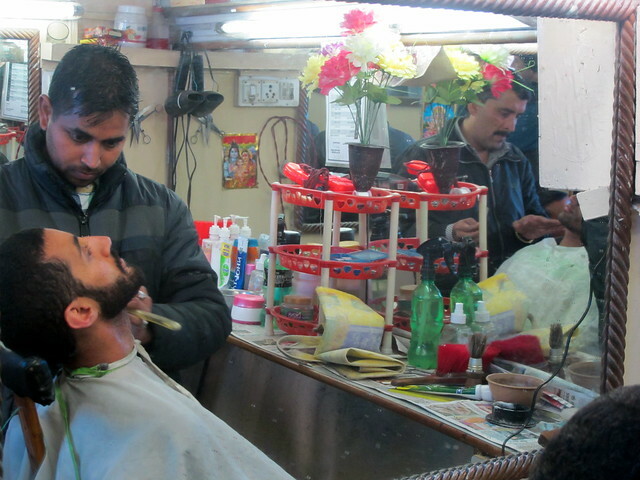 Our time in Shimla might be the low point of our trip through India, and one of our few places we regret even visiting. All three of us got sick (luckily not at the same time), the weather was miserable with thunderstorms and frigid temperatures, and we spent more time getting to Shimla than we did touring around. It’s a shame because the city is quite beautiful – much more charming than Darjeeling, but we never got to appreciate it fully. Shimla was the summer capital of British India, a mountain retreat to escape the unbearable heat in Calcutta, Bombay, and Delhi. As such, there are a lot of beautiful old buildings. It reminded us a lot of Darjeeling, with plenty of twisting roads and steep staircases, but more pleasant to explore. 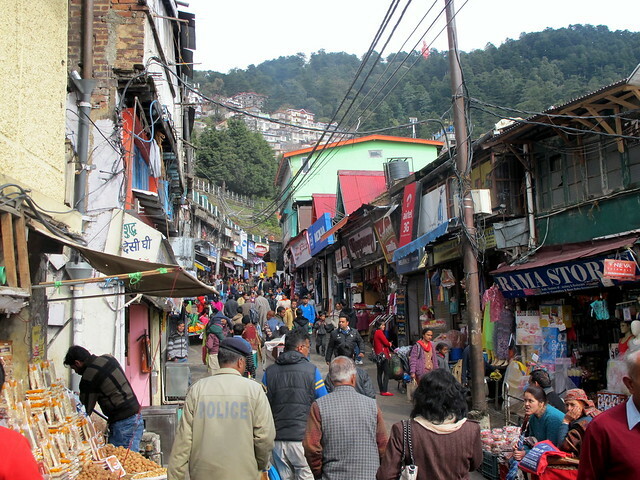 Many of Shimla’s streets feel like they haven’t changed in the past 50 years. 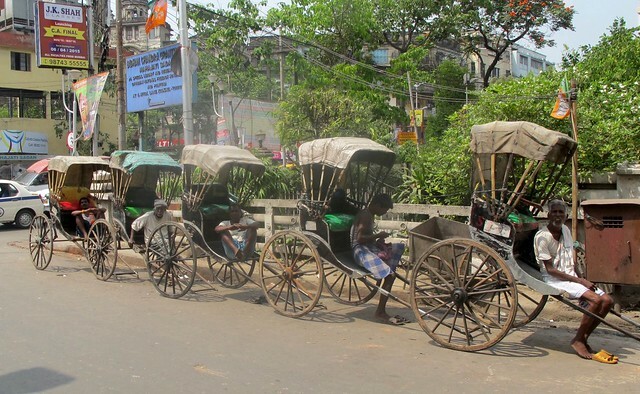 The main tourist areas like The Ridge, The Mall, and the Upper and Lower Bazaar are all car-free. Dan thought we had travelled back in time, with the old buildings, school boys in suits, horses instead of cars, and lack of good internet. When we went searching for a wifi hotspot, the tourist info centre honestly sent us to the telegraph office (which, for the record, still exists but doesn’t have wifi). 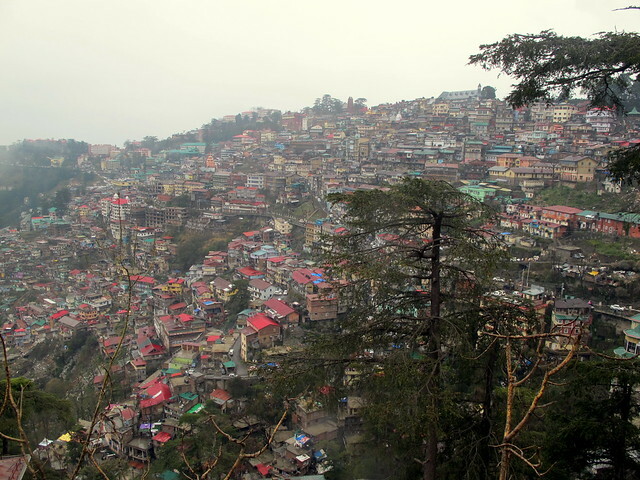 There isn’t a lot to do in Shimla, especially when the weather isn’t great. We walked around in the rain, Dan got his beard trimmed, we enjoyed the gruff service and authentic charm at the Indian Coffee House, we ate momos from a street vendor, we did some souvenir shopping, and we took turns being sick in bed and on the toilet. 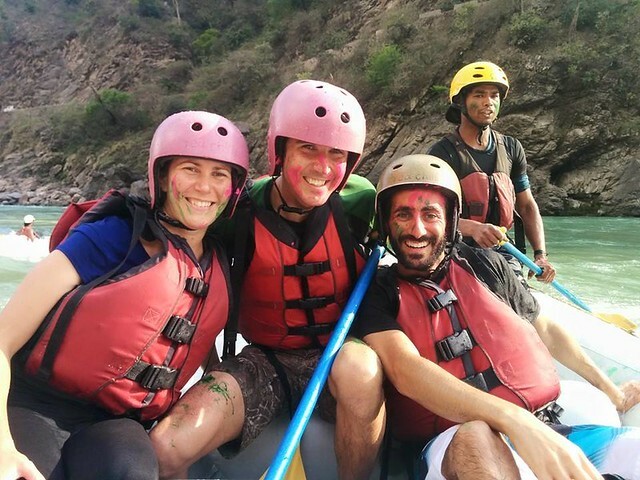 Fun times, but nothing we couldn’t have done in any other Indian city. The journey to Shimla was exhausting. 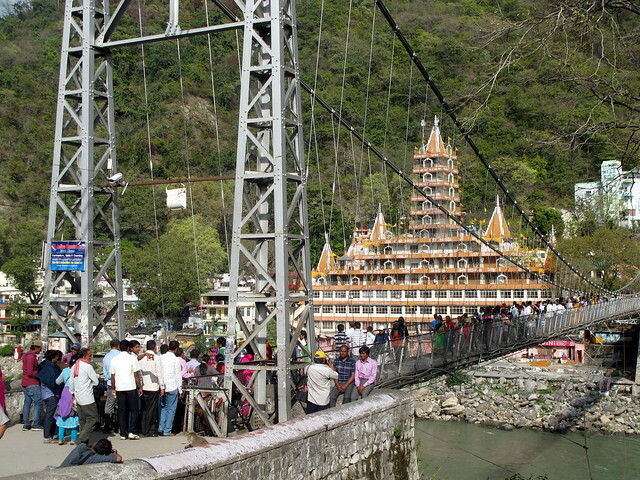 We left Rishikesh at 6 am and didn’t check in to our Shimla hotel until after 9 pm. In between there were three rickshaw rides, two trains, an interstate bus, a local bus, and a long uphill hike in the dark. Our first train was 90 minutes late and we barely caught the second one. Our journey took us through Chandigarh (the capital of Punjab and Haryana), the cleanest large city we’ve been to in India. We wanted to do some sightseeing there, but we didn’t have the time or energy. We got in after lunch and still had a 5 hour, stomach-twisting bus ride before we got to Shimla. 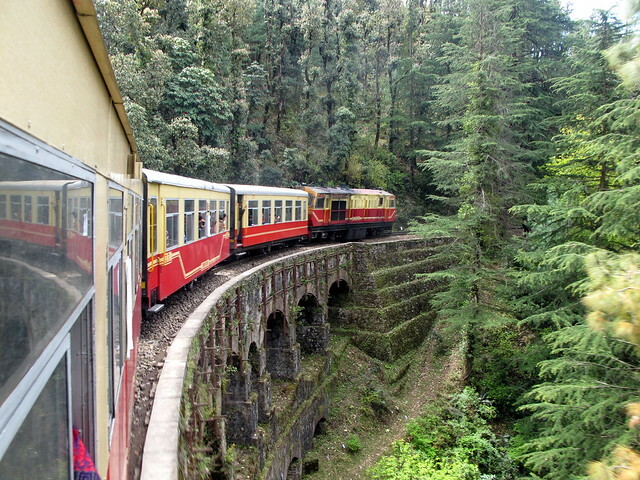 One of the reasons we wanted to visit Shimla was to ride the narrow-gauge toy train, which we did on the way down. It was slower than the bus, but it made the return trip to Delhi much more enjoyable. I took more photos on the train than I did in Shimla. Our moods brightened considerably when descended the mountain and the sun came out. The dark part of our trip was over.